A wedding is a once-in-a-lifetime event, and it carries a once-in-a-lifetime price tag. One of the hottest trends in the wedding industry is to combine the wedding and honeymoon. My cousin and his bride did this. They got married and had their honeymoon at the same resort hotel here in our place. The wedding package includes hotel accommodation, the wedding settings like the altar, flowers, doves, and the food and drinks at the reception area. But the wedding cake, invitation letters, photography, and wedding favors are not included in the package. It was my aunt who ordered the wedding favors for the guests. Anyway, if you are looking for wedding favors, you can find it at eFavormart. 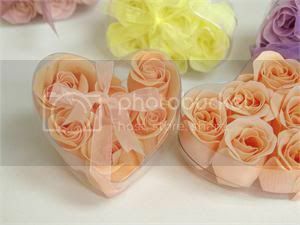 It is an online store for wedding accessories and supplies. I understand that planning a wedding will cost you a lot, but the gifts that you will buy at eFavormart are inexpensive. In addition to that, it is easy to transport the gifts after the reception because it also includes favor boxes and bags. The boxes and bags can be personalized too. You can write the names of the groom and bride and the date of the wedding to ensure that your guest will always remember that they were part on your very special day.